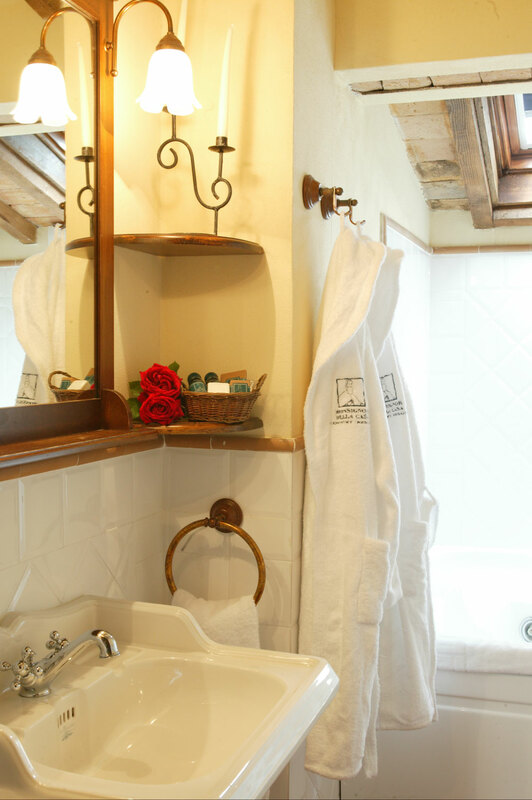 Your deluxe double room envelops you in the authentic Tuscan atmosphere of Monsignor della Casa, but with a touch of inimitable charm. Enjoy your rest on a refined wrought-iron four-poster bed. An experience to surpass your most beautiful dreams.